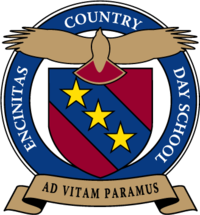 Encinitas Country Day School is established to provide a comprehensive education designed to challenge and inspire students to reach their individual highest potential in a dynamic and changing world. Envisioning well-educated, socially conscious, young adults who are prepared to face the challenges of a changing world with skill, confidence, self-control and moral strength. 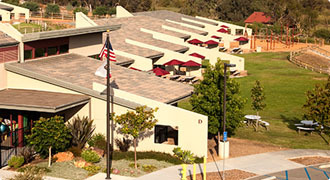 Encinitas Country Day School students will develop their individual abilities to become well-rounded persons of scholarship, integrity, and service. Students will possess a broad understanding of the world in which they live and be prepared to apply personal, social, physical, academic, intellectual, creative and practical capabilities to support their ongoing education and future success. Students will become life-long learners capable of reaching their highest potential according to their individual abilities, interests, efforts and determination. To become a well-rounded person: Students learn to take care of themselves, and have ongoing opportunities to develop their physical, intellectual, and creative abilities. 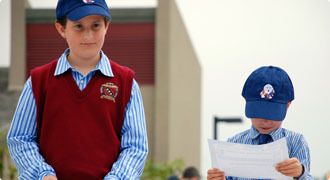 Students are trained to balance the expression of their abilities in their day-to-day lives. They gradually understand and learn how to be aware of and constructively express their emotions, to be attentive and courteous to their family and friends, and to be understanding and supportive of those in need. They explore the elements of personal integrity and have support in maintaining their connection with their family religion and culture. Students will be well-rounded individuals; prepared to bring their best to their family, community, and world. Students know how to translate their awareness of the needs of others into thoughtful and useful service in their homes, classrooms, communities, and world. Students know that anything worth doing is worth doing to the best of one’s ability, willingly and with a smile. To become serviceful individuals able to positively impact their world: Students will develop an awareness of and respect for others that begins at home and gradually expands to include thoughtfulness, understanding, and service to their family, classmates, friends, community and world. Students use their skills to help others and will be guided to include the happiness of others in their concept of happiness. 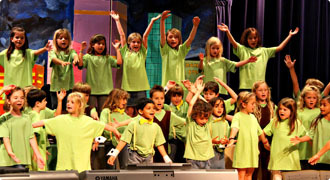 Students face challenges with enthusiasm. They find ways to be helpful and implement their plans willingly and with a smile. Kid Friendly ESLO’s: Be Smart, Be Good, Be Kind, Be Ready! The circle signifies strong and enduring friendships. The hawk signifies faith in God and reaching one’s highest potential. (American Indians believed that the red-tailed hawk carried their prayers to heaven). The hawk’s red tail (looks like a fulcrum) signifies balancing the physical, mental, and spiritual aspects of life. The three gold stars signify the School’s guiding principles for students: scholarship, integrity, and service. The Motto, “Ad Vitam Paramus” means “We are preparing for life.” The blue field represents, “seeking the truth in all things.” The burgundy field represents courage and success in meeting the challenges we face in the battle of life.